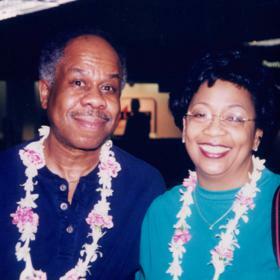 Dorothy Lester was a joyful person and almost always had a bright smile on her face. 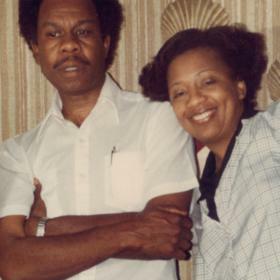 Described as a classy lady who gave her members the best service possible, Dorothy took great pride in her work as the General Manager and CEO for First General Credit Union. Her outlook on life was always positive and she was never one to complain. She lived her life by modeling a lifetime of hard work and providing for those she loved; especially her children and grandchildren. 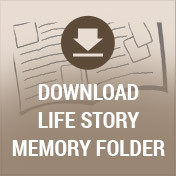 She leaves behind a rich collection of special memories over the years for her loved ones to cherish forever. On November 18, 1943, her parents, James and Ada (Johnson) Johnson welcomed Dorothy Mae home in Columbus, Mississippi. She was born the fifth oldest of eleven children. Born to a set of hardworking parents, Dorothy grew up appreciating their efforts in seeing to it that she had everything she needed even during meager times. Seeking opportunity from the growth of booming foundries, her family relocated to the Muskegon area when she was a toddler. Her father, who was a wonderful provider was grateful for his employment with Lakey Foundry and settled his family into a home near Webster and 8th Street. Her parents raised the children with a strong faith and they worshipped at Bethesda Baptist Church regularly. Dorothy had her fair share of childhood mischief and loved to pull pranks on her siblings. Over the years, they fondly repeated stories about two particularly special events; one that involved a light bulb and another with a wringer washing machine! As a student, Dorothy excelled in all subjects, yet reading was her passion! High school provided her with many opportunities including finding the man of her dreams, Johnny Lester! The two of them dated throughout high school attending proms and gaining popularity as high school sweethearts. 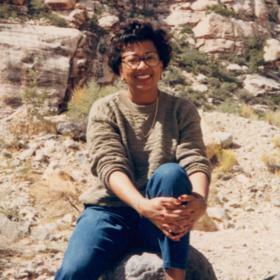 Known as a “bookworm,” she graduated with the Class of 1961 from Muskegon High School. After high school, Dorothy found work as a Teller at Teledyne Federal Credit Union In downtown Muskegon. Eager to begin her studies in banking and finance, she attended night classes at Grand Valley State College before transferring to Aquinas College in Grand Rapids. At the tender age of twenty years old, she and John joined in marriage on June 1, 1963, at Bethesda Baptist, the church she would call home for the rest of their lives. In their early weeks of marriage, they had quite a scare when John was drafted, yet luckily before he signed all of the papers, the government decided to let all married men remain home. During their early married years, John was gainfully employed in a local foundry while also taking courses at Aquinas College. After many years of schooling, the hard work paid off for both of them when they achieved their degrees and purchased their own home for just ten thousand dollars! Even though Dorothy held a professional career outside the family home, the birth of their daughter Michelle in 1965 changed her life in the most amazing ways! She relished in her role as a mother and savored attending countless school activities and sporting events during Michelle’s growing years. Adamant that the family always took time away from their hard work, she and John took Michelle on many vacations over the years. They cherished visits to Disneyland, Disney World, and Hawaii in addition to several trips back to Mississippi to visit extended relatives. While Dorothy’s career continued to climb the corporate ladder, she never missed an opportunity to celebrate the success of anything Michelle set off to accomplish. Working her way from teller to assistant manager, eventually, Dorothy achieved the position as General Manager and CEO of the credit union she called home for more than thirty years! Remarkable and revered as a woman to be reckoned with, Dorothy also served on the Board of Directors of the Michigan Credit Union League for several years. Her professionalism, work ethic, and ambition were admirable. Settling into the Norton Shores area, Dorothy lived an active life outside of her work. She took a fun ocean cruise with her daughter and sisters one year. She and her husband, John enjoyed bike riding, cross-country skiing, golfing, and bowling since her retirement in 2009. Dorothy treasured her years serving as the Sunday School Superintendent at Bethesda Baptist as well as a deaconess. 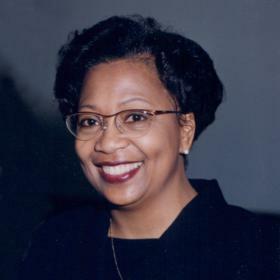 She once ran unsuccessfully for the Board of Trustees for Muskegon Community College, and later was appointed to the board when an existing member could not complete their term. Honored to be an active member of the community she loved, Dorothy went on to be elected to the board several more times over the years. As much as Dorothy loved her years as a mother, nothing prepared her heart for the richness of being called grandma. She loved to spoil the grandkids by taking them shopping, going to movies, doing arts and crafts, as well as taking trips to both Phoenix and Disney. Sadly, Dorothy suffered a stroke about three and a half years ago, and although she recovered, she chose to leave her responsibilities on the board of MCC and instead focused on her church and family. She and John were also looking forward to settling into a new home without stairs. Sadly, Dorothy suffered another stroke that would claim her life. A bright spark among those that loved her, Dorothy’s tenacity and charm will never be forgotten. Her loving ways will be reflected in those she leaves behind for generations to come. Mrs. Dorothy Mae Lester, age 74, passed away Friday, February 16, 2018. 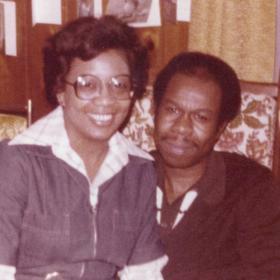 She is survived by her loving husband of 55 years, John Lester; daughter, Michelle (Yomi) Famurewa of Ann Arbor; grandchildren, Kayla Famurewa, Michael Famurewa, Jonathan Famurewa; sisters, Velma Murphy, Frances Johnson, Irene Greene; brothers, Jimmy (Ollie) Johnson, Willie (Gloria) Minor, Troy (Dorothy Ann) Johnson, as well as many nieces and nephews. She was preceded in death by sisters, Mary Lou and Marjean; and her brother, James. A visitation is also planned for Friday, February 23, 2018, from 4:00 pm to 6:00 pm at Clock Funeral Home in Muskegon. A memorial service is planned for Saturday, February 24, 2018, 11:00 am at Bethesda Baptist Church with Charles W. Poole officiating. Interment will be held in Sunrise Memorial Gardens.